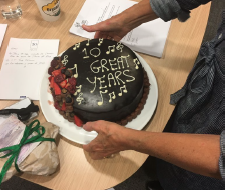 We would like to thank Joanie Speers for her amazing inspiration and support over the past 10 years as our Chair and Trustee. She has been one of the key members of Apollo Music Projects and has played a central role in our growth and development since the formation of the charity in 2008. Joanie has decided to pass the baton down to another one of our Trustees, Simon Smith, who has accepted the role of Acting Chair. 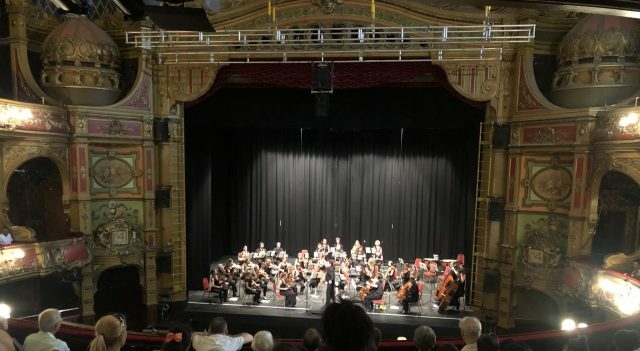 On Tuesday 3rd July, we welcomed over 1250 children, teachers and parents to the Hackney Empire for our final concerts of the year performed by the Apollo Chamber Orchestra. It was a fitting end to a wonderful year delivering our programme to 23 different schools across Hackney, Haringey, Camden, Islington and Tower Hamlets. Our musicians performed Beethoven’s Symphony No. 6 “Pastoral” conducted by David Chernaik, CEO of Apollo Music Projects, with spoken introductions and musical examples. Thank you to everyone who joined us including the Friends of Apollo Music Projects and our Trustees. 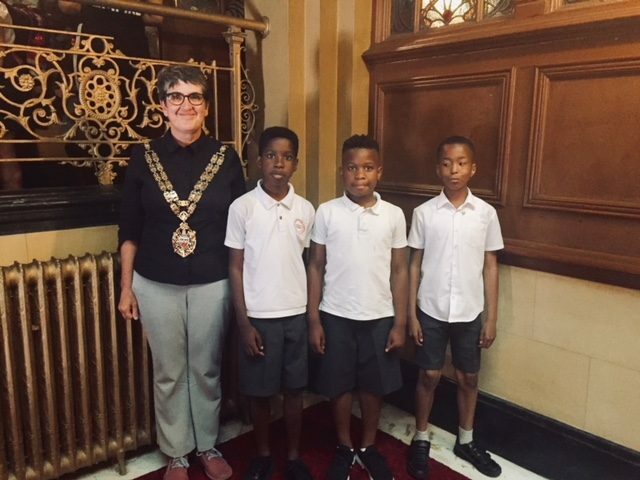 We were also delighted to have been joined by Cllr Clare Potter, Speaker of Hackney (pictured below with pupils from St John and St James Primary School in Hackney). We are also grateful to have received another round of single year funding from Arts Council England. This specific award will help us deliver seven Chamber Orchestra Workshops for 22 primary schools as well as fund a study of impact measurement of our work.